When the doctor or the medical report specifies- DVT- Deep Vein Thrombosis, the patient is often left wondering if it is something that affects the legs or the heart or both. Answering your queries on Deep Vein Thrombosis in this article is Prof G Sivakumar. The circulating blood returns to the heart through the veins. Blood in the deep veins can clot and produce considerable complications. An attack of DVT( Deep Vein Thrombosis) when diagnosed promptly, will need medical attention for about six to twelve months, when neglected can be lead to a fatal outcome. The reason for this is that a piece of the clot in DVT called an embolus may break off and go to the heart, and block the lung circulation. DVTs can occur anywhere in the body but are most frequently found in the deep veins of the legs, thighs, and pelvis. Virchow described three main reasons for DVT and they are still valid today. Confinement in bed due to a medical or surgical condition and immobilisation are the most common causes of slow blood flow in a vein. Prolonged sitting, especially with crossed legs, in a car, train, or aeroplane can also impair venous flow. International air travel has increased ‘sky high’ levels each year! DVT prevention is by calf muscle exercises, early ambulation from bed and by administration of oral anticoagulants. International air travel has increased ‘sky high’ levels each year! Venous thromboembolism after air travel was first recorded in 1954. 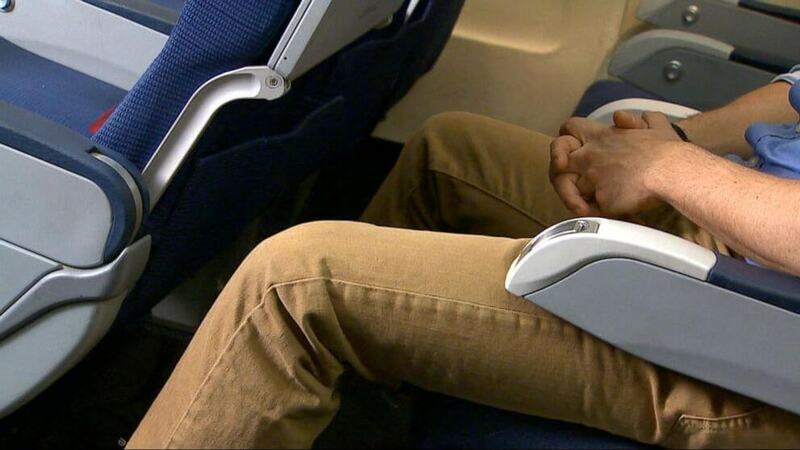 An increase in the risk of thrombosis in the legs of passengers undertaking long haul flights could be caused by long-term immobilisation in cramped seating and low atmospheric pressure situations. The reasons for increased tendency for clotting of blood are pregnancy, certain malignancies, inherited blood disorders and ingestion of hormone pills. Deficiencies of certain blood components, defective blood clotting factors and to an increase of homocysteine, a compound which increases the tendency for the blood to clot can also produce DVT. The leg is swollen and painful. The swelling is predominantly in the calf muscle region and in the thigh. Many patients with a DVT have no symptoms at all and they manifest only with pulmonary embolism (the clot travels to the lung). This is manifested by chest pain, cough, fast pulse rate and blood in sputum. DVT is clinically suspected if ankle movements produce pain in the calf muscles. DVT is diagnosed by Venous Duplex ultrasound and is capable of diagnosing 96% of patients. The tests used to diagnose pulmonary embolism are nuclear scan and spiral CT scans. Spiral CT scan is done by using contrast and CT scanner. DVT is a potential “bomb-shell” as the clot in the lower limb can cause a fatal embolism. Hence all patients diagnosed to have DVT need hospitalisation. Treatment is by Heparin which is an anticoagulant and is given intravenously. After halting the clotting process and stabilising the patient oral anticoagulants are used. Low-molecular-weight heparin, is a better form of heparin and is increasingly been used presently. Blood tests to assess the level of anticoagulation are prothrombin time (PT) and APTT. The patient is advised not to walk and bend the limbs as it may initiate embolism. It is recommended that at least 6 months of anticoagulant therapy is given for these patients, but in some therapy should continue for at least 6 to 12 months or for longer periods. Damage to the venous valves can produce venous ulcers, varicose veins and venous insufficiency in the leg. Recanalisation of the occluded deep veins occurs over the course of time. Reconstruction of valves in the deep veins is found to be useful in chronic venous insufficiency. Elasto-crepe pressure bandage is required to prevent oedema and ulceration of the leg. DVT can be prevented by calf muscle exercises, early ambulation from the bed and by administration of oral anticoagulants. Several studies have shown that graduated compression stockings can decrease the incidence of DVTs in patients who are confined to bed. Also read: ‘My foot’ is not the right attitude!